March marks the beginning of the change of weather, new growth and life. As gardens begin and flowers bloom, so do ideas and motivation around food, policy and access at the Just Food Conference at Teachers College, Columbia University, New York City. The night before the Just Food Conference reminded me of the last day of summer vacation as a child. I would dream of what the year ahead would have in store, who my new classmates would be, the lessons that would be taught, and what adventures I would go on. The same feelings and emotions came up on the eve of the inspiring New York City food conference hosted by Just Food in partnership with the Laurie M. Tisch Center for Food, Education & Policy. The night before, I dreamt of the food based workshops, the presenters, conference goers, lectures and connections to be made. I woke up giddy with excitement the morning of the conference—which workshops would I choose, who would I meet and what new ideas would inspire me. Walking into the conference brought an amazing feeling—so many like-minded people coming together to talk, learn, inspire and connect around topics of food. It was a huge event, with hard working staff, volunteers and people behind the scenes, and flowed seamlessly on the large Teachers College campus. Workshops were not the only teaching points—lunch was vegan with a low carbon footprint and zero waste, as all components were composted or recycled. I chose a seed saving workshop presented by the Poughkeepsie Farm Project, located in the Hudson Valley. The workshop was hands-on, engaging, and brought a feeling of connecting back to our roots when food was food, not modified nor manipulated. I learned that seed saving is more than digging out your tomato seeds and letting them dry in the sunshine, and brought new ideas and seeds back to my students in Brooklyn that we planted the following week. Often I have students sneak seeds into their pockets to plant at home or in the school garden, and I left feeling more qualified to teach about the seed saving process. The image of the futuristic looking vault in the North Pole as the only place to save seeds has quickly been replaced by images of houses, apartments and schools. We can all take part in sustaining a future of quality food and health starting with just seeds. 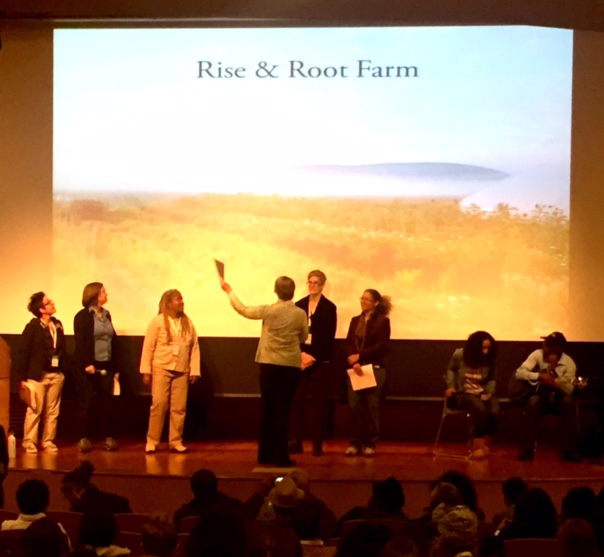 The conference closed with a keynote from the women of Rise and Root Farm, rooted in farming, food, and connecting and inspiring communities. The presentation was playful—each woman telling her story and talking about the farm, all while bringing us on their journey through their mission and work. I left bursting with energy, ideas, stories and information—have you ever felt so inspired you wanted to shout from the rooftops? The Just Food Conference will do just that. This conference comes once a year and brings together many people of various strengths, projects and ideas all in the name of food, just food. The biggest thing I learned is that anyone can inspire, motivate and engage others—just share your beliefs, get a platform to communicate, talk and connect. There are people out there with similar ideas and interests—tap in and see where you go. 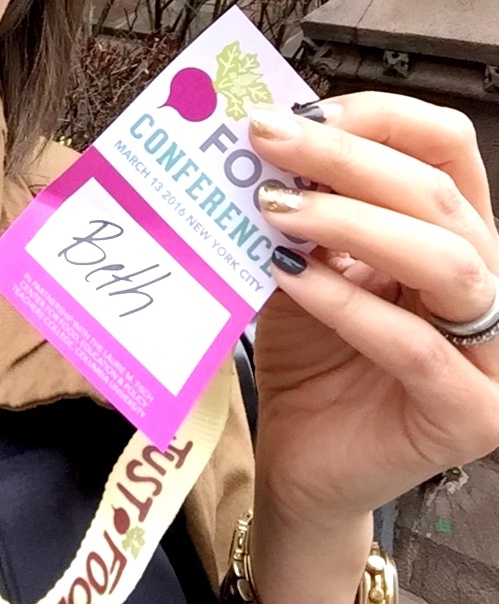 Start small or go big, and next year I’ll see you at the Just Food Conference! But until then, connect about food, policy, recipes, books, films, markets and more over at Foodstand.